The sun has started coming out more and more lately and that means the holo also starts coming out too, I mean, you can't have a sunny day without holo somewhere. Annoyingly though, the moment anyone takes out a camera to photo a holo polish, the sun disappears, so these photos were taken under my daylight lamp. 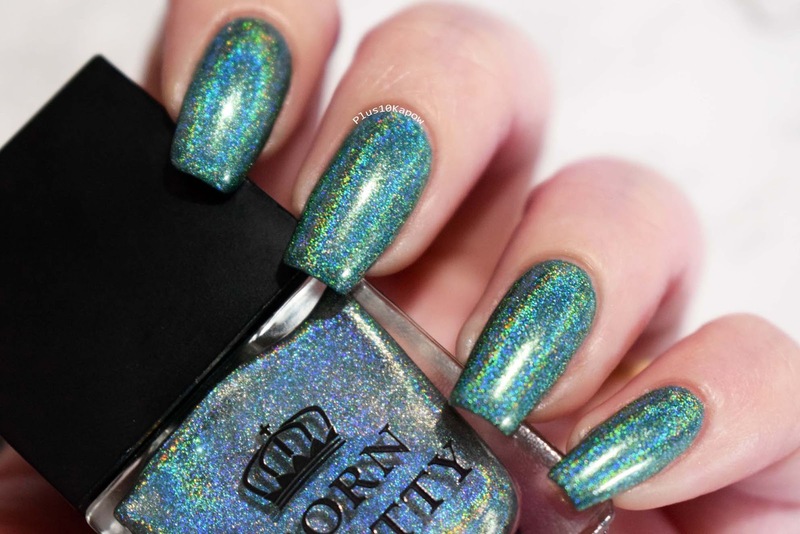 This is H008, a beautiful green with a strong linear holo and one of a range of 10 holo polishes from Born Pretty Store. This has a flat, wide brush which makes application a breeze and gets right up to the cuticle with ease. 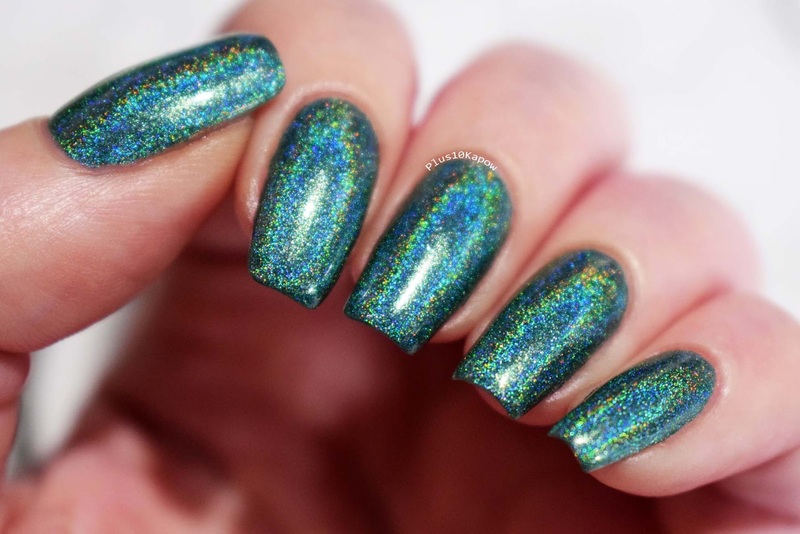 The formula is great and it is easily a one coater, however I have used 2 thin coats topped with a coat of Seche to really bring out the holo. It dries fast and to a semi matte finish, clean up is easy, as is removal. This would make a gorgeous base for some mermaid nail art, don't you think? 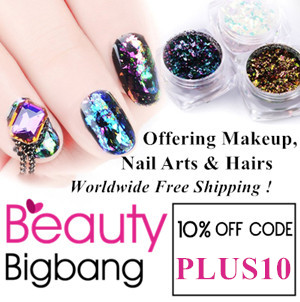 You can find this polish here for £7.02/$9.99 and you can check out all of the Born Pretty Store holo range here. 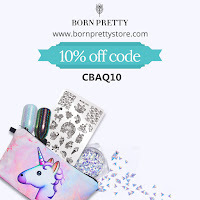 Don't forget that you can use my code CBAQ10 for 10% off all non sale items, just pop the code in at checkout. 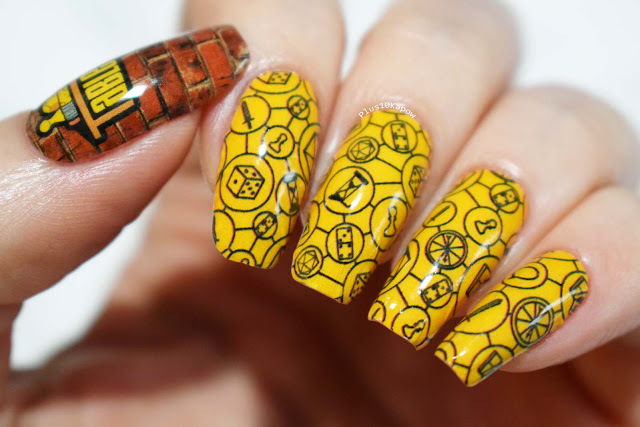 What polish do you always reach for when it is sunny? Hop you had an awesome start to the week!